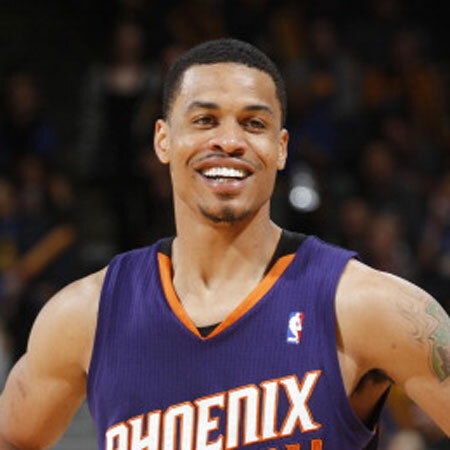 Gerald Green was born on 26th of January, 1986 in Houston, Texas, United States of America. Unfortunately, he met an accident when he was in his sixth grade. The accident left a significant portion of his right ring finger cut off. When Gerald attempted a dunk, he was wearing a ring on his right ring finger. His finger got ripped after the ring caught on to a nail on the goal. Amputation was the only option left after that. Gerald Green made the varsity team in his junior year but his play was cut short because of academic issues. He transferred to a charter school, Gulf Shores Academy and repeated his junior year there. Gerald Green averaged 33 points, 12 rebounds, 7 assists, and 3 blocked shots per game in his senior year. After his superb performance, he was named an All-American. Moreover, he was the high scorer in the 2005 McDonald’s All-American Game. Gerald Green won the McDonald All- American Slam Dunk Contest for defeating future Duke Player Josh McRoberts. In 2005, he was listed as the No. 1 player in the nation. Celtics selected Gerald with the 18th pick in the draft. He was one of the last players to enter the NBA directly from high school. In the 2005 Las Vegas Summer League, Gerald Green averaged 8 points and 1.3 rebounds per game for the Celtics. He appeared in 32 games in the 2005-06 season but he started off the 2006-07 season slowly. It was officially announced on 31st of July, 2007 that Green was to be traded to the Minnesota Timberwolves. He found himself stuck on the bench there. A year later in 2008, Gerald Green was traded to his hometown team Houston Rockets. Subsequently, he was released by the Rockets on March 8. After a month on 1st of July, 2008, he signed with the Dallas Mavericks. Gerald Green chose to go to learn the plays even though he was not supposed to go to the summer league. His overall performance was enough to earn him All- Revue Team honors in the 2008-09 season. On December 2009, he signed with PBC Lokomotiv-Kuban of Russia. Later on 13th of December, 2011, he signed with the Los Angeles Lakers. He was signed by The New Jersey Nets for a short time. 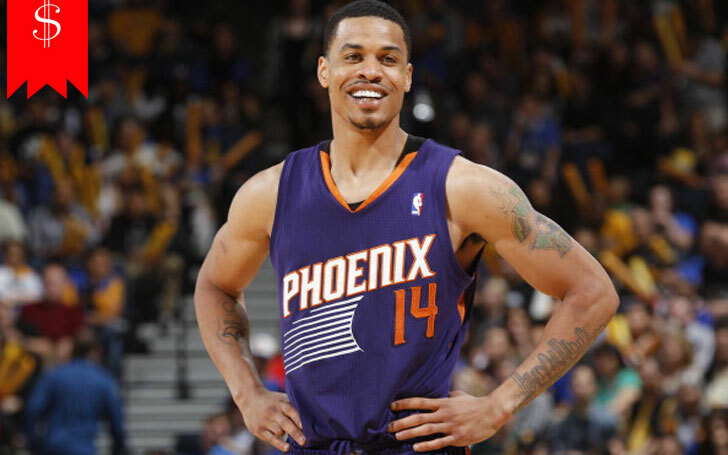 Gerald Green signed with the Indiana Papers on 12th of July, 2012. A year after that in 2013, he was traded to the Phoenix Suns. He signed with the Miami Heat in 2015 and signed with the Boston Celtics on 27th of July, 2016. Much about his personal affairs is yet to be found. According to the sources, he has not married yet. It would not be difficult at all for a popular man like him to get a wife but he might be busy with his career these days. But, he might not have wanted to disclose his personal affairs to the general public. Gerald Green stands tall and handsome with an extraordinary height of six feet and seven inches. His net worth is estimated to be $10500000 accumulated from his hard work. His market value is $16 million and he has a guaranteed income of $6.5 million. His salary is estimated to be $3.5 million per year.